Sachia Vickery's bandage just won't stay on. She wraps it up as tightly as she can around her injured knee before facing Deniz Khazaniuk's serve, but by the time she's made the return, it has unravelled yet again, unable to get a purchase on her sweat-soaked skin. As the unrelenting Mumbai heat bears down on the American, she looks over at her mother and her coach, signalling for the match to be called. Her mother, sitting on a plastic chair near the court, responds by loudly shouting "let's go Sachia," her voice cutting through the silence of the empty arena. Vickery turns to her Israeli opponent and plugs away, battling on until the match is well and truly out of her reach. Vickery's first-round defeat at the hands of Khazaniuk at the Mumbai Open was her first competitive match in two months, as she sought to make her comeback following a recurring knee injury. She began the match in style, quickly wrapping up the first set with a score of 6-2, but appeared to fade after being broken at 5-5 in the second. Despite aggravating her knee injury, Vickery continued to play until the sixth game of the final set, retiring with the score at 2-6, 7-5, 5-1 in favour of Khazaniuk. In hindsight, the American's perseverance was unsurprising. Her mother, Paula Liverpool knows a thing or two about perseverance from her struggles as an immigrant and a single mother, doing everything within her power to fulfill her daughter's ambitions of becoming a professional tennis player. "For me, the struggles were mostly financial. Tennis, as everyone knows, is one of the most expensive sports to pursue," Liverpool told Firstpost, adding, " so I did whatever I could to sustain Sachia's tennis, to pay the coaches and to take care of household bills." She worked a full-time job as an academic advisor at an online university, moonlighting as a bartender in a club in Miami. Liverpool kept up with this exhausting routine for close to three years, getting by with just five hours of sleep on most nights, a fact that Vickery is well aware of. "My family didn't know much about tennis when I began, it was something I decided to do on my own when I was very young after I saw Venus Williams playing tennis. My mom sacrificed a lot for me when I was younger, for me to be able to go to tournaments and train. That was a difficult period for us. But when I started improving and playing better, I was gradually able to contribute, which helped ease the pressure on her," said Vickery. 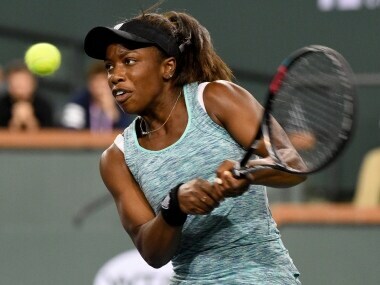 The Florida native has progressed rapidly since her victory in the 2013 USTA Girls' 18s National Championships, going from strength to strength in the following years. After earning a wild card to participate in the main draw of the US Open, Vickery beat former Wimbledon semi-finalist Mirjana Lucic-Baroni in her very first match at the WTA-tour level, shortly after which she managed to break into the top 200. Despite struggling for form at times, she continued her steady rise through the rankings with impressive performances in several events, reaching a number of WTA quarter-finals. However, some of Vickery's greatest achievements have come within the past twelve months. Vickery won her first major title at the 2017 Central Coast Pro Tennis Open, an ITF $60,000 event. She followed up her title win by storming into her first ever WTA semi-final, claiming her first top-30 scalp against Agnieszka Radwanska along the way. She also managed to break into the top 100 for the first time in her career, following it up with an impressive run that saw her leap up the rankings, even going as high as No 73. But perhaps the most impressive milestone yet of her budding career was her incredible victory over two-time Grand Slam champion Garbine Muguruza at Indian Wells in March. Muguruza made a strong start to the match, winning the first set 6-2 and notching up a comfortable 3-0 lead in the second. Vickery's response was emphatic, as she rallied to win the second set 7-5, clinching victory by playing some inspired tennis along the way to a 6-1 win in the deciding set. "I think I played a really good match. I started out really nervous. It was difficult, playing on the big court, against someone as good as Muguruza. 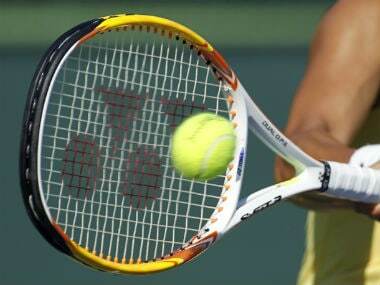 But once I settled in and started playing my shots, I found some of my best tennis," said Vickery. Much to the delight of her followers on social media, she celebrated her emphatic victory with the Wakandan salute from the film Black Panther, a movie that she holds close to her heart. Sachia Vickery took being a fan of the film Black Panther to a whole new level after her shock victory at Indian Wells. She marked her win with the crossed arms Wakandan symbol. Vickery has spoken out about the importance of the film, which features a predominantly black cast, and has also advocated against racism in the sport. Unlike many professional athletes, she frequently engages with racist trolls on her social media, handing out L's both on and off the court, saying, "I feel like sometimes for all of us, we ignore it for long periods of time. As tennis players, it can be so difficult, when you open your phone after tough games and you see so many of these messages. It's very hard to receive these kinds of messages, especially when you know you're just out there giving your best shot." Unfortunately for Vickery, her 2018 season has reached a premature conclusion, as she announced her decision to take some time off and allow her body the time it requires to recuperate fully. 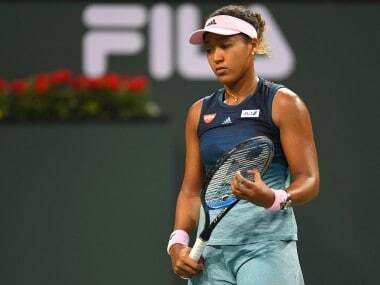 At just 23 years of age, however, the American has time on her hands and will aim to come back even stronger in 2019, something that her mother is sure she can accomplish, saying, "Sachia is a fighter. She's not in it for the heck of it, she's been fighting since the minute she was born."